Backed by strong technical knowhow and a heritage of more than 300 years of excellence and passion, De Dietrich has established itself as a market leader in premium home appliances. True to form, its latest Fascination Collection brings to the table products that marry aesthetics with performance. Appealing to individuals who pursue both form and function in their kitchens, the collection comes in four colour schemes—Iron Grey, Absolute Black, Pure White, and Platinum, with products rendered in grey glass and stainless steel, glass and cast iron, white glass and stainless steel, and steel, glass, and stainless steel respectively—and features copper accents that lend an air of understated elegance. It also delivers the high performance the brand is known for. 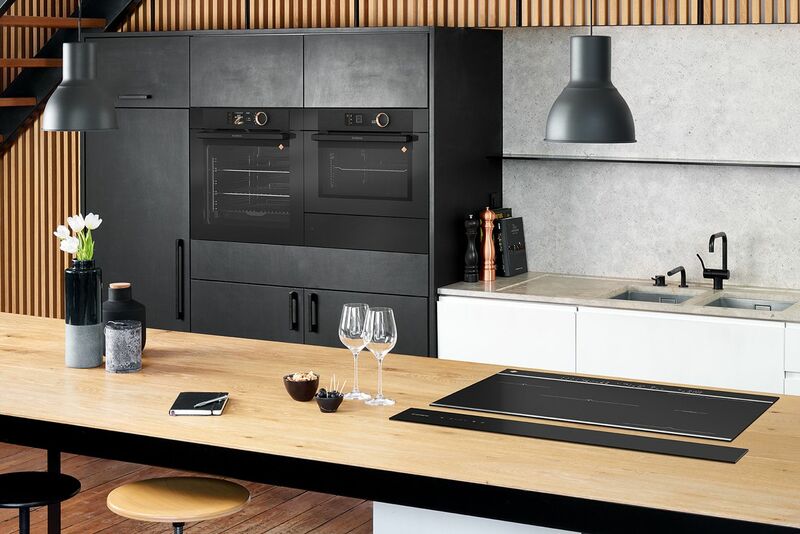 Deserving of a special mention are its ovens—awarded the prestigious Red Dot Design Award and Janus de l’Industrie award in 2017 for their aesthetic and technical excellence—and induction hobs that seek to empower you to do more in your kitchen. The ovens retain a classic facade accented with rotary knobs, are available in a larger capacity (73 litres), and boast an array of new features such as the Drying function, which allows you to dehydrate your own produce to create dried fruits, vegetables and more. Also new: the French Patisserie mode and Sabbath Function (selected models). With the former, you can try your hand at classic French pastries and desserts—simply pull up one of 14 recipes with a tap of a button. The latter allows the oven to function independently for up to 75hrs, so you can perfect slow-roast dishes. De Dietrich has also introduced new interfaces for more intuitive access to all functions. The induction hobs here are truly something to behold. Breaking new ground in the area of zoneless cooking, De Dietrich introduces its new horiZone Play design, which builds on its horiZone modular cooking space concept and allows for multiple cooking methods with a single hob; just affix a specialised grill or plancha accessory (sold separately) for endless cooking options. Further expanding the functionality of the hob is a complimentary cutting board that can be fitted on. The hobs feature upgrades in technology too. Ensuring maximum heat efficiency, the horiZone zones come with an innate capacity for adjustments, which means you don’t need to worry about your pots or pans not aligning well to the electromagnetic fields. Plus, the ICS feature recommends the bestsuited zone for any given pot/pan. The new digital keypad also allows for more precise power adjustments, with a white LED display providing optimum legibility. De Dietrich has even incorporated safety features such as Clean Lock, which blocks all commands for one minute while you clean.